We had been hearing rumors that Samsung could soon announce its own smart speaker and the company did just that today. 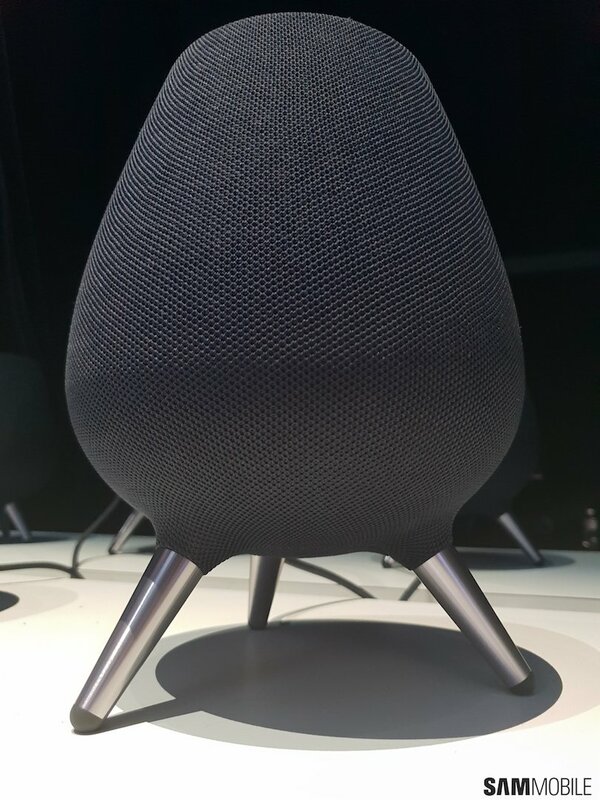 The Galaxy Home is the much-rumored Bixby smart speaker from Samsung. The only unveiled it today and promised to provide more information about it later this year. It did display the Galaxy Home alongside the other products it has announced today during its Galaxy Note 9 event in New York City. We were able to get up close and personal with this new addition to the Galaxy lineup and get a sense of what it’s all about. It’s evident right off the bat that this isn’t meant to be an Amazon Echo or Google Home rival. 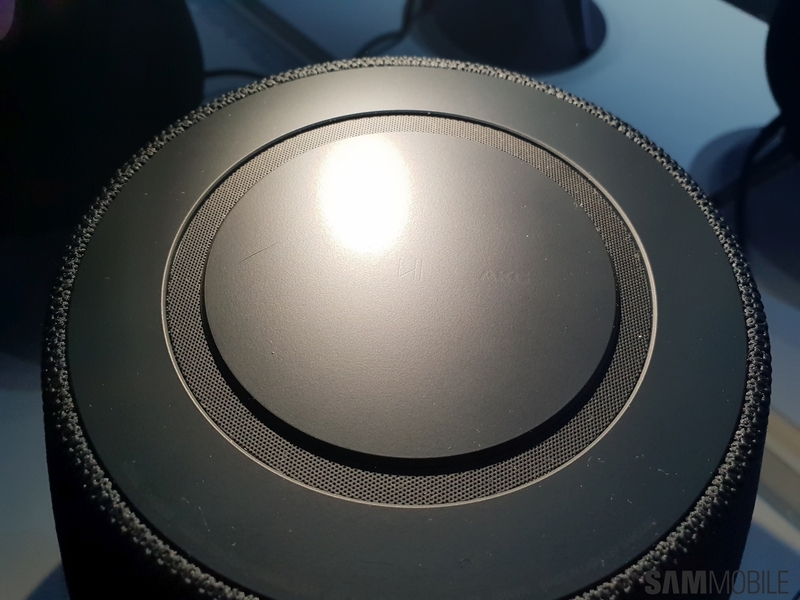 The design, build quality and sound make it pretty evident that this will take on the Apple HomePod, a premium Siri-powered speaker that retails for $349. The cloth cover-wrapped teardrop-like design exudes class. It flows effortlessly down to the brushed metal feet with rubber tips that securely hold it in place. The Galaxy Home has a nice heft to it as well. It boasts AKG audio and why wouldn’t it, Samsung owns the premium audio brand that’s also tuning the audio on its mobile devices. Aside from its powerful speakers, it even has a subwoofer to deliver rich bass. Bixby will be a major part of the Galaxy Home experience so it has eight microphones for far-field voice recognition. Samsung says that Bixby on the Galaxy Home will be able to do almost everything that it can already do on the supported Galaxy devices. The improvements that Samsung has made to Bixby will certainly go a long way in improving the user experience with the assistant on this device. With SmartThings integration, the speaker will also let users control smart home devices. The Galaxy Home doesn’t have any physical buttons. 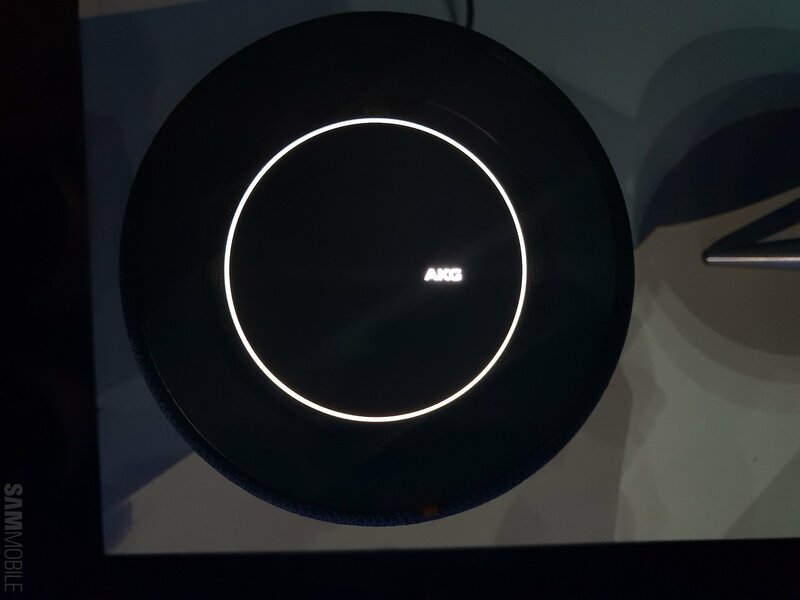 There’s a touch surface at the top with a couple of controls and a bright, white ring which illuminates when the speaker is active or the microphones are listening. From what we gather, there are no inputs so it won’t be possible to plug in auxiliary products. Users will have to completely rely on wireless connections. Samsung will provide more details about the Galaxy Home at its developers’ conference this November. It’s safe to assume that this won’t exactly be a cheap smart speaker but may very well provide the audio experience to match the premium price tag. There’s another good deal available which is still valid! Blitzwolf is selling their latest sound bar at 30% off when you apply coupon 303NVBPH on Amazon.